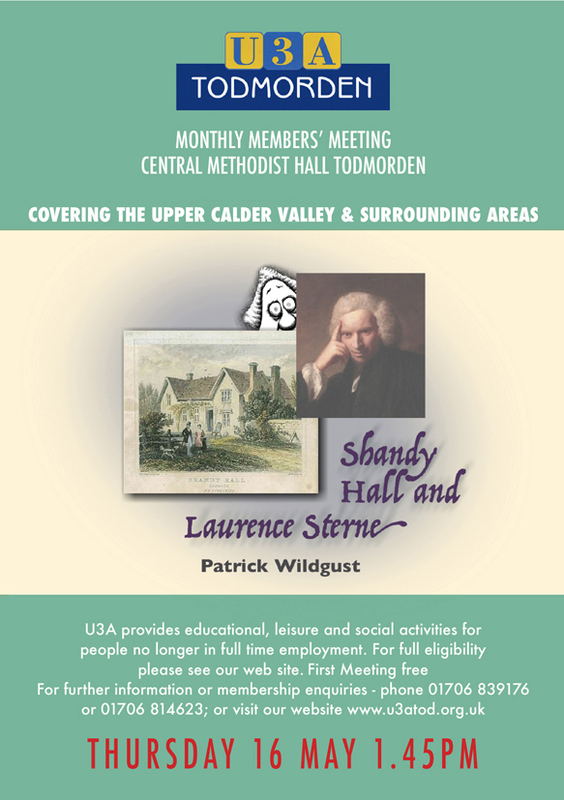 U3a member Mike Darke will be talking about Yorkies and le Tour de France. As ever, 1:45 for a 2:00 start at the Central Methodists in Todmorden. The Mayor of Tod Michael Gill is coming…are you? 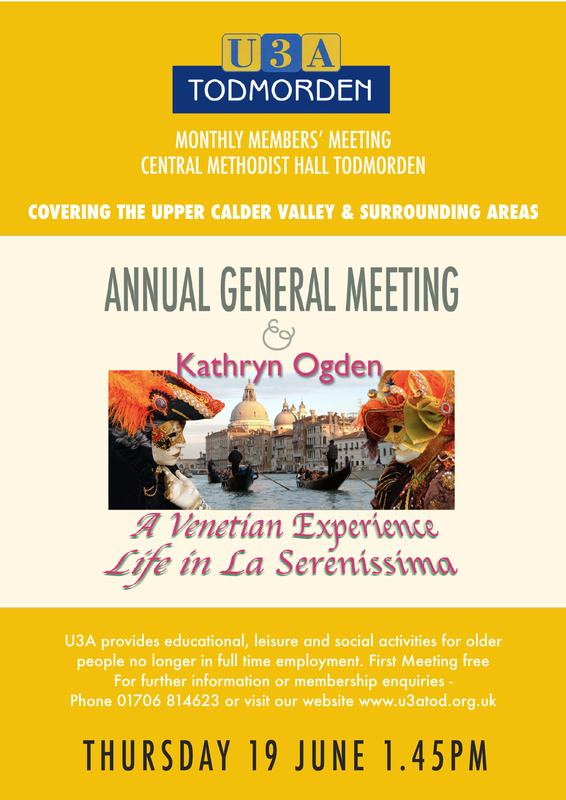 Our next General Meeting is on Thursday ,October 16th, when the speaker will be Diana Monahan talking about ‘Canals in my life’. Hebden Bridge-based Diana has appeared on TV in ‘Great Canal Journeys’ with Timothy West and Prunella Scales. She’s involved with the award-winning Rochdale Canal Connections Project. The meeting will start at usual at 2.00 pm and the doors will be open at 1.30 pm when tea/coffee and biscuits will be available. Our next meeting starts at the slightly earlier time of 1:15 to give everyone time to pay their subs!